Few days ago, the international community was awash with news of the emergence of a new leader of Boko Haram otherwise known as Islamic State's West Africa Province (ISWAP) - Abu Musab Yusuf Al- Barnawi who was recently appointed by the Islamic State of Iraq and the Levant (ISIL) in replacement of the widely known Abubakar Shekau. The news has generated a wide range of reactions and troubling predictions among international security experts and analysts, who have warned that the dangerous development portends more deadly threat to the already porous Nigeria security system and that of West Africa as a whole. It is in this aspect that David Otto Endeley, Director of a London based TGS Counter Terrorism and Organised Crime, in an exclusive interview with Paul Ihechi Alagba of Family Writers made stunning revealations on why new Boko Haram/ISWAP leader is likely to overtake the records set by his outstand Commander Abubakar Shekau. However, the Counter Terrorism expert underlined the fact that the relationship between Shekau faction of Boko Haram and Abu Musab's faction will henceforth be far from rosy. CAN YOU GIVE A BACKGROUND SUMMARRY OF THE NEW BOKO HARAM OR ISWAP LEADER RECENTLY APPOINTED BY ISIL? The new appointee and New ISWAP leader is - Abu Musab Habeeb Bin Muhammed Bin Yusuf Al-Barnawi from Borno. He is the son of Late Boko Haram leader Mohammed Yusuf who was killed in police custody in July 2009. Abu Musab is roughly 25/26years old. He was the spokesman of Boko Haram and the Military operations officer and right hand commander of Abubakar Shakau. Some say he was the second in command until he defected about 3 months ago. WHAT ARE THE IMPLICATIONS OF THIS SUDDEN APPOINTMENT OF ABU MUSAB ON THE STRUCTURAL LEADERSHIP OF BOKO HARAM AND THEIR ALLEGIANCE TO ISIL? This appointment has a number of implications - first this is evidence that ISIL has promoted a Boko Haram split by appointing Abu Musab to replace Shakau. If Shakau was receiving any kind of material or moral support from ISIL , that support will now be given to the new leader. So we should expect some frustrations from the Shakau faction as evidenced by his lamentation from his recent audio , claiming he was ignored by ISIL leadership despite all attempts to reach them. The problem is that Shakau still commands a very large following - he is feared for his brutal reactions against anyone that goes against his leadership. But without financial resources most of his militants could become desperate - they could drift to the new man who may enjoy full support from ISIL core. The appointment of the new Ameer to replace Shakau has one structural implication for Boko Haram. Boko Haram under Shakau could lose the authority to use the acronym ISWAP , which it did when its allegiance in March 2015 was approved by ISIL core. 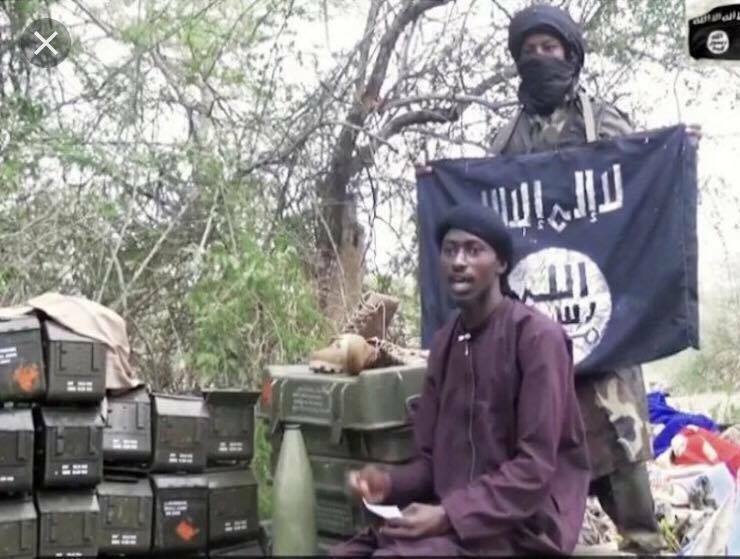 Shakau will continue to be the leader of Boko Haram in Nigeria and have control over his militants in other regional states including Cameroon BUT he ceases to be the provincial governor of ISWAP. Structurally he will be under the leadership of Abu Musab Al Barnawi who will now be overall ISIL representative to the entire west Africa region. Shakau will not be comfortable in this position - he is a man who is accustomed to power and authority and he does not like to take orders even from ISIL core - not to talk of taking orders from the son of Mohammed Yusuf - a man he believed was too soft to deal with the pressure. SHOULD WE EXPECT A MORE DANGEROUS BOKO HARAM LEADER THAN SHEKAU IN ABU MUBAB? We could witness the fall of one brutal leader and the rise of one whose temperament is virtually unknown and untested. The father of Abu Musab - Late Mohammed Yusuf was charismatic and strategic. He was not as brutal as his successor Shakau. If Abu Musab took his fathers complete DNA - then we could see a reduction of attacks against Muslims and Mosque , reduction of women and children used as suicide bombers or soft targets like places of worship. However if Abu Musab follows the footsteps of his former Ameer Shakau - and allies himself close to Ansaru leaders like Cameroon born Mamman Nur - a staunch Ansura leader who favours attacking the west - Abu Musab AlBarnawi may lead a faction that could develop the capability to launch more daring attacks with a focus not only against Nigeria or neighbouring Niger, Chad, Cameroon - but against the west and its interests inside and outside West Africa. From all indications , Shakau did not attract a lot of foreign fighters probably because he was never fully trusted by ISIL leadership as he quickly switched allegiance from Alqaeda to ISIL when it suited him. Abu Musab could be a game changer for ISIL . He has an attractive personality compared to Shakau - he is soft spoken - he may represent a leader that can strategically collaborate with other ISIL factions in west Africa , East and North Africa to recruit more militants and attract foreign fighters from mostly diaspora communities in the west. WHAT DO YOU THINK WILL BE THE FATE OF THE OUTSTED ABUBAKAR SHEKAU HENCEFORTH? if Abubakar Shakau becomes too desperate and continues to believe that he has been stabbed in the back by ISIL core , he may pledge his allegiance back to AlQaeda core through AQIM and join forces with AlQaeda leaders in the region including fierce men like Moktar Belmokhtar to rival ISIL in the region. Switching sides and allegiances has been a strategy by Shakau when it suits him. How will Shakau react against Abu Musab Al Barnawi? WHAT SORT OF REACTIONS SHOULD WE THEN EXPECT FROM SHEKAU AGAINST HIS ENFORCED SUCCESSOR? Shakau has a fierce reputation to slaughter and clamp down heavily oh his rivals or anyone who goes against his leadership. This rival is different from other. Abu Musab Habeeb Bin Muhammed Bin Yusuf Al-Barnawi - was a close commander of operations under Shakau ; he is the legitimate son of his former Ameer and former leader of Boko Haram and he has the full support of ISIL core. This is not a man Shakau can threaten easily without self destruction. It may never come to the point of direct confrontation between ISIL & AQ or Shakau against Abu Musab but it could increase attacks in the region as both organisations or factions endeavour to stamp their authority in the region. It is the innocent people that will suffer most . Shakau and his militants will continue to carry out arm bush & suicide attacks indiscriminately targeting both Christians and Muslims in the region. Abu Musab will focus on targeting Christians and non believers plus a possible increase in targeting western interest. He will be looking to expand his target beyond West Africa. THE NIGERIAN GOVERNMENT RECENTLY DOWNPLAYED THE VERACITY AND TROUBLING MAGNITUDE OF THESE RECENT CHANGES IN THE BOKO HARAM CAMP ENGINEERED BY THEIR ISIL ASSOCIATES. DO YOU THINK THIS IS AN ENCOURAGING REACTIONARY RESPONSE? There is a danger in downplaying the recent appointment - the new ISWAP leader is the son of the first Boko Haram leader Muhammed Yusuf who was extrajudicially killed while in police custody in 2009 - Abu Musab will not forget this incident as a young boy. He may be out for some revenge attacks which he can now order directly as the new Ameer. Also we could see more desperate attacks for survival from the Shakau faction - he has nothing to loose now that he has been ditched by ISIL - he will not surrender - he could resort to kidnapping and other organised crime strategies if he no longer has the material support from ISIL. This will stretch the security architecture who will now be facing two factions - a desperate one and one with a point to prove as the new Ameer in town . WHAT ARE YOUR SUGGESTIONS ON HOW TO CURTAIL THE POTENCY THIS DANGEROUS DEVELOPMENT FROM BOKO HARAM? The government has to increase community based resilience - involve the people at the grassroots but this can only succeed if there is trust between the people and the military - a factor that has been scarce on ground. Also there has to be a genuine regional collaboration between affected states in the region. Words alone have no impact on ground. If a central community hub is established in all regional states , non of these factions will survive or find a safe place to hide and launch attacks.